Dreaming about a home renovation project that you’ve wanted to carry out for a while? Want to have your basement or bathroom remodeled? Our licensed general contractors are here to help you out with your office or home improvement needs. If you are considering a large home improvement project or a small room remodel, call upon the services of one of our licensed contractors. Our experts are prepared to manage all aspects of your renovation or remodel to your precise specifications. 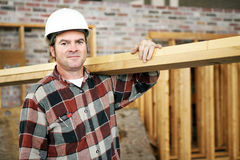 Why Hire Our General Contractors? A specific contact for all of your strategy, arrangement, building and renovation needs from the planning stages of the project until the final touches. An expert team of workers who are prescreened for your protection and are managed every step of the way. Friendly and reliable services. We’ll be sure to answer your messages promptly, give you regular project updates, and be there for you throughout. The respect that your project deserves, from commercial construction to small bathroom remodels. Attention to detail and to the specific design choices and craftsmanship that you are after in your project. It is very important to us that we comply with all state and county regulations when completing our building and renovation projects. We’re proud to be able to provide you with our services while withholding the remodeling contractor standards that are necessary to see your home improvement task seen through to the end. Not only are we prepared to provide you with copy of each of our general contractors’ licenses, but we are also prepared to hand over the personal details of our contractors so that you can look them up on your state’s license board site at your leisure. Not only do we meet all state regulatory standards, but we also comply with all local ordinances. We make sure to obtain a building permit before completing any project. Additionally, you need not worry about whether or not we are insured, and we are happy to provide you with the necessary paperwork to prove it to you before beginning any project.